Faith consolidates, integrates and illumines the heritage of truth that human reason acquires. The trust with which St Thomas endows these two instruments of knowledge, faith and reason, may be traced back to the conviction that both stem from the one source of all truth, the divine Logos, which is active in both contexts, that of Creation and that of redemption. Together with the agreement between reason and faith, we must recognize on the other hand that they avail themselves of different cognitive procedures. Reason receives a truth by virtue of its intrinsic evidence, mediated or unmediated; faith, on the contrary, accepts a truth on the basis of the authority of the Word of God that is revealed. St Thomas writes at the beginning of his Summa Theologiae: “We must bear in mind that there are two kinds of sciences. There are some which proceed from a principle known by the natural light of the intelligence, such as arithmetic and geometry and the like. There are some which proceed from principles known by the light of a higher science: thus the science of perspective proceeds from principles established by geometry, and music from principles established by arithmetic. So it is that sacred doctrine is a science, because it proceeds from principles established by the light of a higher science, namely, the science of God and the blessed” (ia, q. 1, a.2). This distinction guarantees the autonomy of both the human and the theological sciences. However, it is not equivalent to separation but, rather, implies a reciprocal and advantageous collaboration. Faith, in fact, protects reason from any temptation to distrust its own abilities, stimulates it to be open to ever broader horizons, keeps alive in it the search for foundations and, when reason itself is applied to the supernatural sphere of the relationship between God and man, faith enriches his work. According to St Thomas, for example, human reason can certainly reach the affirmation of the existence of one God, but only faith, which receives the divine Revelation, is able to draw from the mystery of the Love of the Triune God. Moreover, it is not only faith that helps reason. Reason too, with its own means can do something important for faith, making it a threefold service which St Thomas sums up in the preface to his commentary on the De Trinitate of Boethius: “demonstrating those truths that are preambles of the faith; giving a clearer notion, by certain similitudes, of the truths of the faith; resisting those who speak against the faith, either by showing that their statements are false, or by showing that they are not necessarily true” (q. 2, a.3). The entire history of theology is basically the exercise of this task of the mind which shows the intelligibility of faith, its articulation and inner harmony, its reasonableness and its ability to further human good. The correctness of theological reasoning and its real cognitive meaning is based on the value of theological language which, in St Thomas’ opinion, is principally an analogical language. The distance between God, the Creator, and the being of his creatures is infinite; dissimilitude is ever greater than similitude (cf. DS 806). Nevertheless in the whole difference between Creator and creatures an analogy exists between the created being and the being of the Creator, which enables us to speak about God with human words. This is from the second Audience of Pope Benedict XVI on St. Thomas Aquinas (16 June 2010). Here also are links to the first Audience (2 June 2010) and the third Audience (23 June 2010). This entry was posted in Giveaways, Heidi L. Keiser, Holidays and Feasts, Thomas Aquinas on 28 January 2011 by NovAntiqua. 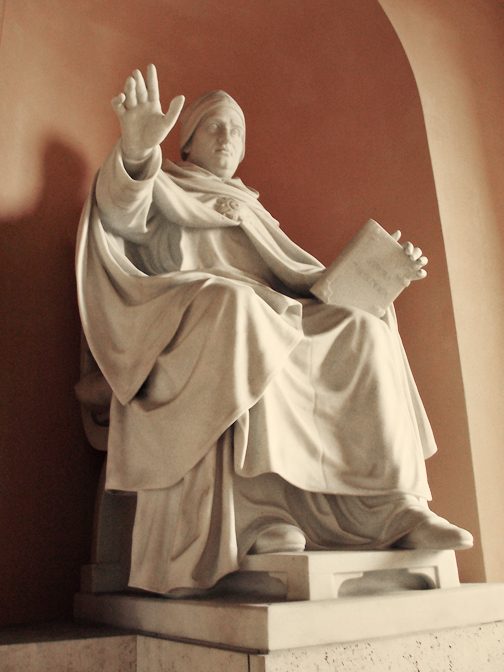 It is here at last – Volume IV of the Summa Theologiae of Saint Thomas Aquinas, Latin-English Edition, is now on the digital shelves of Amazon.com. This volume is 640 pages, and it has a list price of $25.95 (eligible for Free Super-Saver shipping). Work on Volume V is underway. We anticipate that the Secunda Secundae will be divided into three volumes due to the length of St. Thomas’s Treatise on Justice. Volume V will contain the Treatise on the Theological Virtues and the Treatise on Prudence. Volume VI will cover the Treatise on Justice and the Treatise on Fortitude. Volume VII will contain the Treatise on Temperance, the Treatise on Gratuitous Graces, and the Treatise on the States of Life. This entry was posted in Book Releases, NovAntiqua Books, Thomas Aquinas on 14 November 2010 by NovAntiqua. To be sure, both canons make serious demands on the faithful. It’s not easy for an individual Catholic to refrain from going to holy Communion at Mass. The so-called ‘Communion fast’ offers no cover for a Catholic with a doubtful, let alone a guilty, conscience. These days, to remain in the pew while everyone else goes to Communion is tantamount to saying “I think I’m in the state of grave sin.” Who wants to imply that? An interesting thought: an effect of Confirmation is the fortitude not to go to Communion when you shouldn’t. This could certainly be useful today, when many parishes have the enforced courtesy squad in the form of ushers who let us know when it is our turn to receive Communion. Of course, in St. Thomas’ day, the reception of Confirmation generally preceded the reception of first Communion in the West. Today, it is not so, at least in the U.S. And I don’t think that the practice has to change just because of this consideration. Confirmation itself does not carry in its notion any determination as to age; its determination is left free to the discretion of the Church’s ministers. Nevertheless, I think it would be nice if by some determination of positive law, we made it easier for conscientious Catholics to “withdraw” from the reception of Communion when they judge they should not. For that, I support Dr. Ed Peters’ own proposals for modifying the Communion fast. This entry was posted in current events, Kevin F. Keiser, Thomas Aquinas and tagged Canon law, Sacraments on 31 March 2009 by Kevin F. Keiser. But, unfortunately, we’re not sure that this is an asset at the moment as the page-views of Volume I of the Summa Theologiae of Saint Thomas Aquinas that Amazon.com has posted right now are terrible (they look like grainy photocopies of photocopies) and not at all representative of the actual quality of the book. We hasten to assure everyone that actual printed text is crisp and clear, and we are communicating with Amazon.com to try to improve the quality of their “Look Inside!” images. That said, we are excited that the the opportunity to search inside the text of a parallel translation of Questions 1-64 of the Summa is now available, though the poor quality of the images right now does compromise the search results. This entry was posted in Amazon.com, Thomas Aquinas on 10 February 2009 by NovAntiqua. Pius V (1567): Declared St. Thomas Aquinas a Doctor of the Church. This entry was posted in Holidays and Feasts, Thomas Aquinas on 28 January 2009 by NovAntiqua. A copy of the complete Summa Theologiae of St. Thomas Aquinas is a must-have for any Catholic theologian, theology student, priest, or seminarian, and it’s a great work to have on the shelf for anyone with an interest in theology or philosophy. Is affordable for the average individual, not just the average institution. Until now, though, the only Latin-English edition of the Summa consisted of 60 volumes with varying translations – and a price tag of $39.99 for each volume or nearly $2,000 for the set. Volume One of the Summa Theologiae of St. Thomas Aquinas: Latin-English Edition is now available on Amazon.com with a list price of $24.95. Volume One contains Questions 1-64 of the Prima Pars, or in other words, covers roughly the first half of the first part of the three-part work. To put this into perspective, this one volume presents the questions that the first nine volumes of the 60-volume set cover. This is, of course, just the first volume of what will be a complete Latin-English edition of the Summa. We anticipate that the second volume, covering the second half of the Prima Pars – Questions 65-119 – will be available by Easter. This entry was posted in Amazon.com, Book Releases, Thomas Aquinas on 16 January 2009 by NovAntiqua.